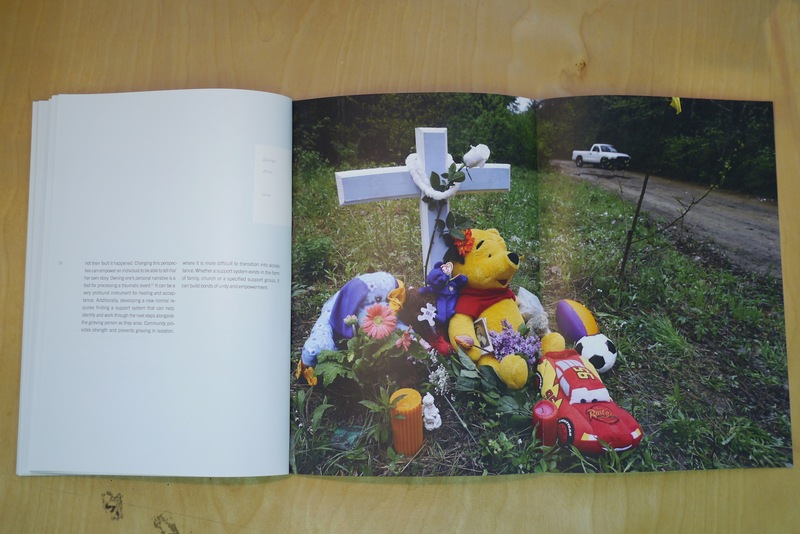 This self-authored book pays homage to the solemnity of collective tragic events and the natural reaction of groups to memorialize together. 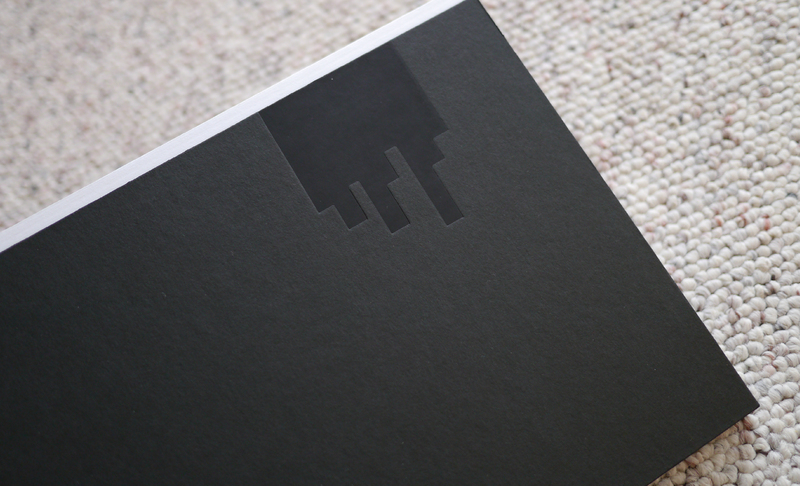 The growing shape in the top center of every page is a shadow of each section of the book that has come before. 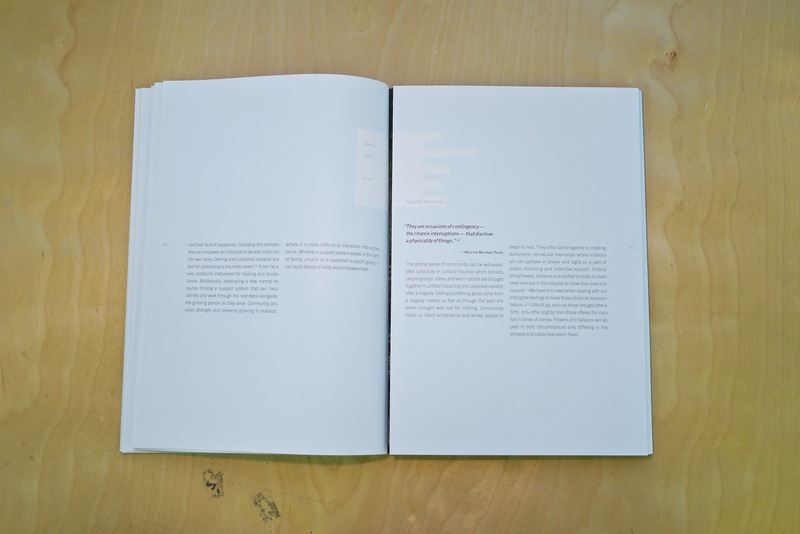 Images are separated from the text with a reverse flip-out disrupting the flow of reading, confronting the viewer with the content, and allowing for moments of reflection. Just have some thoughts you'd like to share?